Rounding out my week of veggies with a daikon. What’s a daikon, you ask? Only the most wonderful, sorta spicy, large radish in existence! I bought a daikon to make a daikon/carrot pickle for a barbecue — it’s great to use as a topping on hot dogs, not to mention on banh mi, or to just eat plain, straight from the jar. 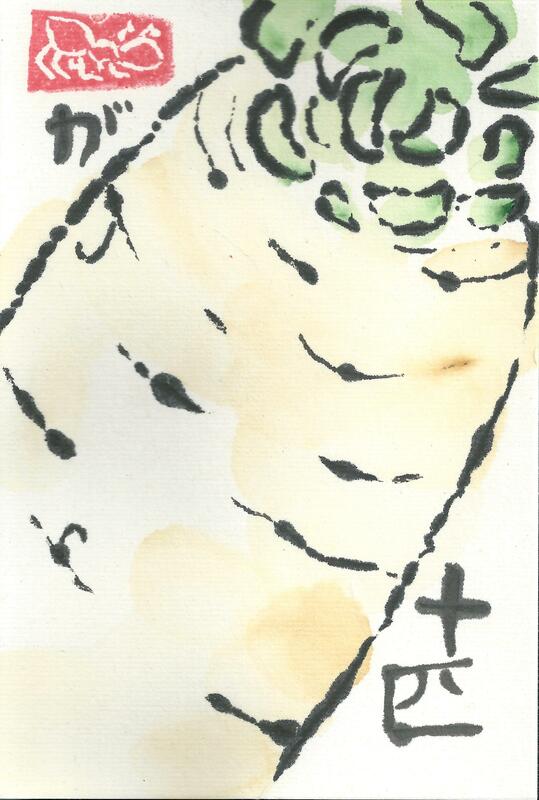 I painted it as it came from the market, with the greens cut short. I used a recipe for daikon/carrot pickles (namasu) from Nancy Singleton Hachisu’s Japanese Farm Food as inspiration for my pickles, with a few alterations (here’s a version of her recipe, but I recommend buying her book to use the original and also to read all her wonderful commentary on living and cooking in Japan). Lovely drawing! 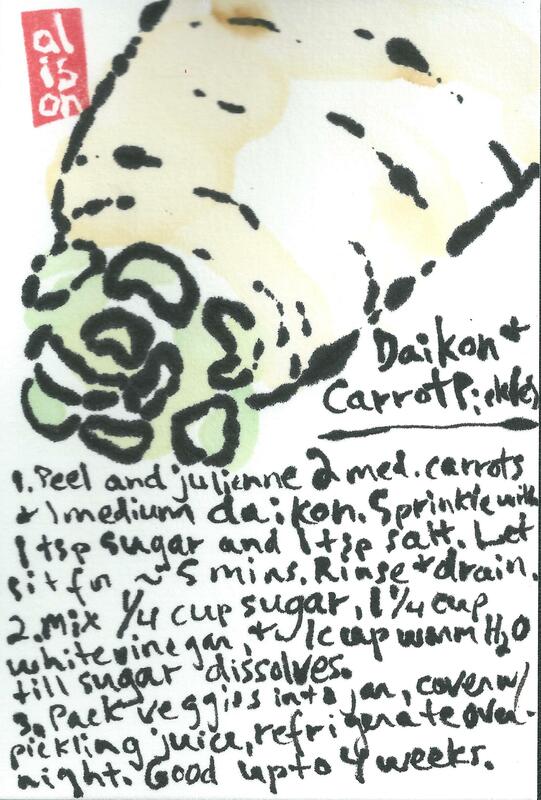 Love daikon and the greens too! Thanks Patty! If the daikon had had greens I would have cooked them up as a side.